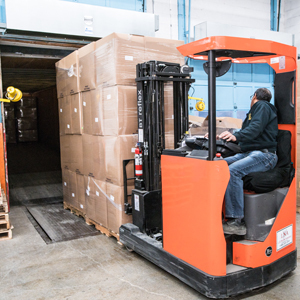 We operate our own dedicated logistics service in Toronto, Montreal and surrounding areas. Consolidated Bottle coordinates global logistic services for import and export with all continents. Our inventory control services consolidate supply for multinational companies which are in-turn shipped to sister plants and contract manufacturers globally. Locally, we manage a dedicated trucking fleet that offers timely delivery within the Greater Toronto and Montreal areas. Let us manage your logistics responsibilities.